Beautifully engraved Specimen certificate from the FTD.COM - Delaware . This historic document was printed by the Northern Banknote Company and has an ornate border around it with a vignette of the FTD.COM company logo. FTD.COM is an Internet and telephone marketer of flowers and specialty gifts. Founded by FTD, the world's largest floral services organization, FTD.COM sells directly to consumers through its Web site, www.ftd.com, and its 1-800-SEND-FTD telephone number. Utilizing independent FTD florists who adhere to the highest quality and service standards, FTD.COM provides same-day delivery of floral orders to nearly 100 percent of the U.S. population. FTD.COM offers a wide variety of unique floral arrangements and specialty gifts for holidays and other occasions. 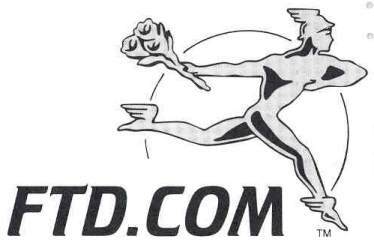 FTD.COM became a public company through an Initial Public Offering in September 1999 and announced its profitability just one year after its IPO, in October 2000. On June 27, 2002, FTD.COM merged back with its parent, FTD,Inc., to leverage the strengths of FTD's business-to-business operations and increase its growth opportunities.